With the passage of time, technology has changed and we see many new tech products as well as apps making human life easier. The time has come and we have technology that can tell us what other people are doing on their phones. In other words, we are able to spy on anyone we want for whatever the reason is. Today, we are going to talk about a great app and its features and how you can use this feature to listen to the surround recordings on your phone. What Actually This Feature is? The surround recording feature is used when someone wants to listen to or record the sounds in the surrounding of any android device or phone. This feature allows the users to bug the mic and capture the sound. What goes on there will be heard on your phone and you will find what conversation is going on. This feature has a lot of great uses and is helpful when it comes to safety and security of anyone. 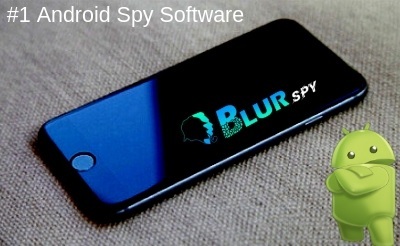 BlurSPY which is android spy app offers this feature in the app. The feature comes with many other features you may need to track any phone or device. Parents usually need such apps because they want to keep eyes on their children when they are out of the home or using internet and devices. The safety of children has become a serious issue now and this app ensures your children are safe all the time. After you install the app on the target device, the feature can be used. You will go to the dashboard and turn on this feature. With this option, you will listen to every sound in the surrounding of the device. However, there is a certain range of distance up to which the app will cover the sounds and voices. Once the feature is turned on, it starts working. Make sure the target device is connected to the internet because without internet, the feature will not work. The app bugs or hacks the mic of the target phone and every sound or voice is heard on your device with this app. There are two options; either you can listen to the live surrounding or you can record it. The live option is good for the people who have time to track the time whereas recorded is useful if you don’t have time but want to record the sounds and listen to them later. Who Should Use This Feature of BlurSPY? When it comes to the use of this feature, it has multiple purposes. However, we are explaining it here so that you can get maximum out of this feature. First, the parents will need this app as well as the feature. Most of the teens now use the internet and social sites and dating apps. They connect with strangers and even go to meet them. This is a problem for parents as they don’t know who their teens are meeting and dating. So they can use this feature. The app will help parents to bug the mic of the device of their children when they are on a date. The parents will be able to listen to every sound and discussions between the two persons. Second, many people have doubts in their partners. They believe their partner is cheating on them and meets someone else. Most of the couples have trust issues. But in many cases, either partner literally cheats on the other. With this app and the feature, any spouse can spy on their partner. They will turn on the feature to listen to the conversations and sounds. They will instantly find out if they are dating someone and if there is something suspicious. Moreover, the app will give you the truth and you may settle your issues. Lastly, an employer needs this feature badly. The people working in offices steal company data, share secrets with others and even hold meetings with the competitors of the company they work for. This can cause serious issues and financial losses for the boss. So any such worker can be monitored. Whenever they are in a meeting or talking to someone, the app will record their sound and conversations. The boss will find the truth and take strict actions to prevent such things and avoid huge losses. The post Listen to Surroundings Through Cell Phone Spy App appeared first on erpinnews.